Celtic legend is rich with tales of people moving between the physical and faerie realms. With the Window to the Soul Collection, Keith Jack has created jewelry which is a reminder of the importance of nourishing the soul with an open heart and mind. 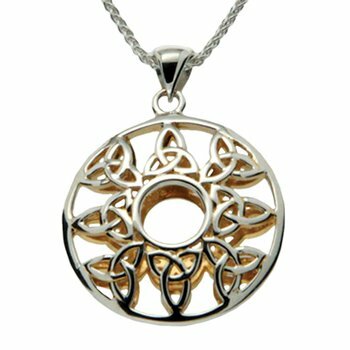 This sterling silver and 22k gilded Trinity pendant is a beautiful example of the essence of Keith Jack's Window to the Soul Collection.